We do not have any minimum value but please note that our minimum delivery charge includes packaging and handling and cannot be reduced further. Economy options: Now Includes Highlands & Islands of Scotland, Scilly, Isle of Wight & N.I. UK Express A.M. - £14. Not available in all areas, this will depend on your distance from your nearest Parcelforce depot and its distance from us in Southampton. DHL Express offer a next day option for Northern Ireland & Scottish Highlands, this service is more expensive and offered to you at our cost prices as an option if needed. Prices start at £26 for the first 10 kilos and then increasing by weight. Express is generally next working day from the day of dispatch in most mainland areas, this is for orders picked and packed before 3.00pm. If you need an item urgently please talk to us first, let us check physical stock here or at suppliers. Our shop indicates items that will always be special order, all other items can be regarded as in stock or available in a day or two. Our warehouse is packed with over 128,000 pieces and we do try to keep any item requested more than twice a year, but even so, we may be out of the most common items on occasions, likewise our suppliers may also run out, if we are unable to supply your full order we will advise you and delay or refund as agreed. Jersey, Guernsey & Isle of Man are treated as though they are different countries in our delivery options list, this also controls zero VAT for the Channel Isles. 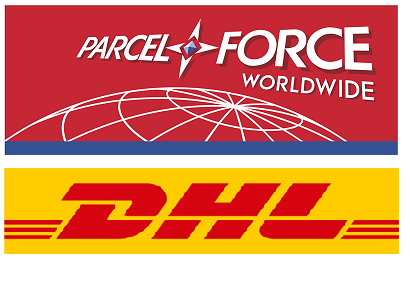 We currently use Parcelforce for the majority of our deliveries in the UK and Parcelforce (GLS) along with DHL for overseas orders. Some small items will be sent by "signed for" post. Post is generally slower and has limited tracking information, generally just showing Sent, In Country and Delivered. We have Economy & Express options from as little as £10 per 30 kilos, please add to your basket and proceed to checkout for exact costs. Volumetric restrictions exist on single items over 1 meter in length or over 30 kilos per item and will need to be quoted for. Oils & other fluids can be shipped but you will find less courier options as not all of our couriers will carry. Please add items to your basket and proceed to checkout to calculate your delivery costs, our charges reflect our true cost and are competitive, the shop is programmed to accept your post/zip code to calculate any remote area charges and so is accurate for the vast majority of items, what we cannot calculate online is oversize parcels that our couriers will reject or surcharge, so if you know what you need is over 1 meter in length or a single part is over 30 kilos (multiple items adding to over 30 kilos is fine) please contact us to discuss as we would need to quote you for that before we accept your order. May be applied by Customs in your country are out of our control, you should make yourself aware of any duties that may be payable, some couriers will handle this for you and add a small charge to handle this, we offer a choice of courier for most countries, pick whichever is best for you. We cannot offer prices including customs clearance, you are responsible for local duties Please do not ask us to disclose incorrect values for customs paperwork, this is not lawful and there is no way of insuring your shipment should something go wrong. We cannot ship body panels, restricted items and glass overseas. Oils & many other fluids can be shipped but you will find less courier options as not all couriers will do this. Once it leaves us it is in the hands of a courier and outside of our control, there are so many genuine reasons for parcels to be delayed on road networks so we advise you that delivery times are estimated and not guaranteed by us or our couriers, we all try our best as we know your vehicle is needed.